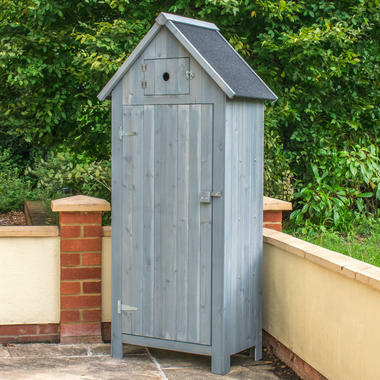 The Apex Garden Storage Cupboard is perfect for keeping your gardening tools and accessories stored away out of site. 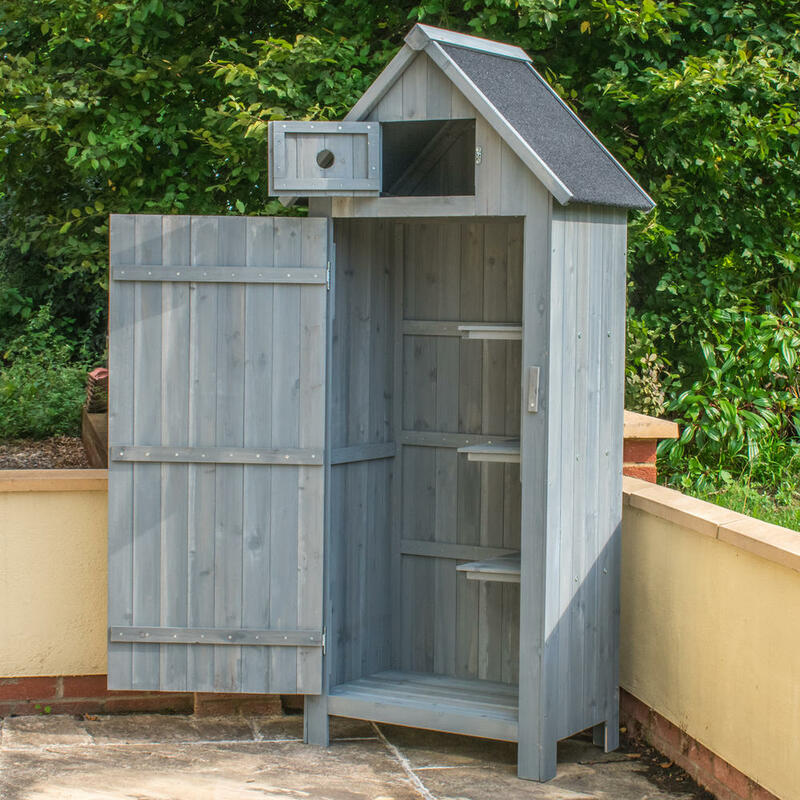 Featuring a solid wood construction with a stylish grey finish, the Apex Garden Storage Cupboard will make a perfect addition to your home and garden, providing you with 3 handy shelves to help you keep your tools organised. 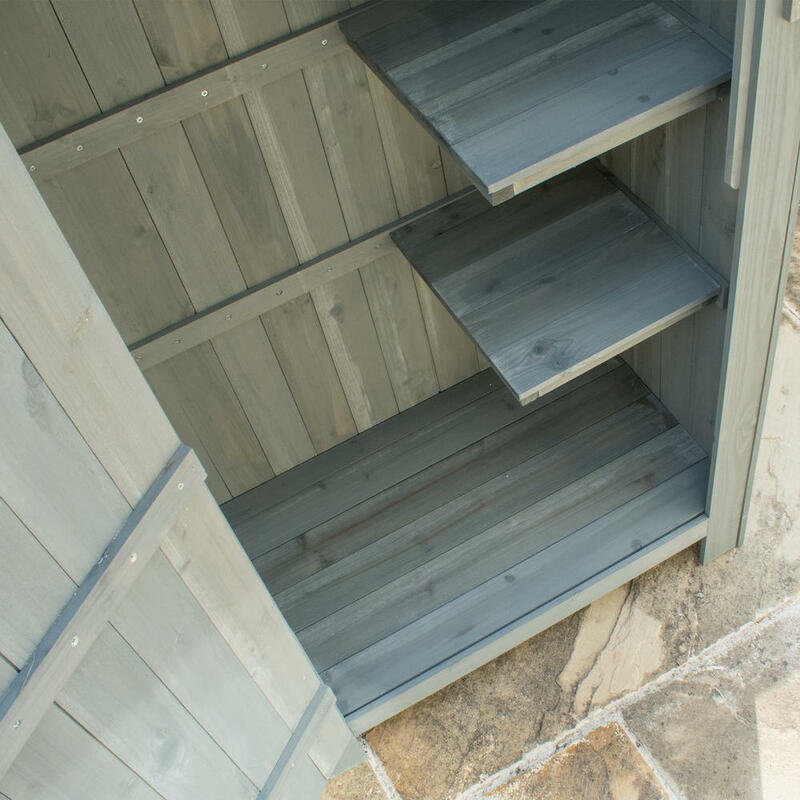 The Apex Garden Storage Cupboard is divided into 2 sections. 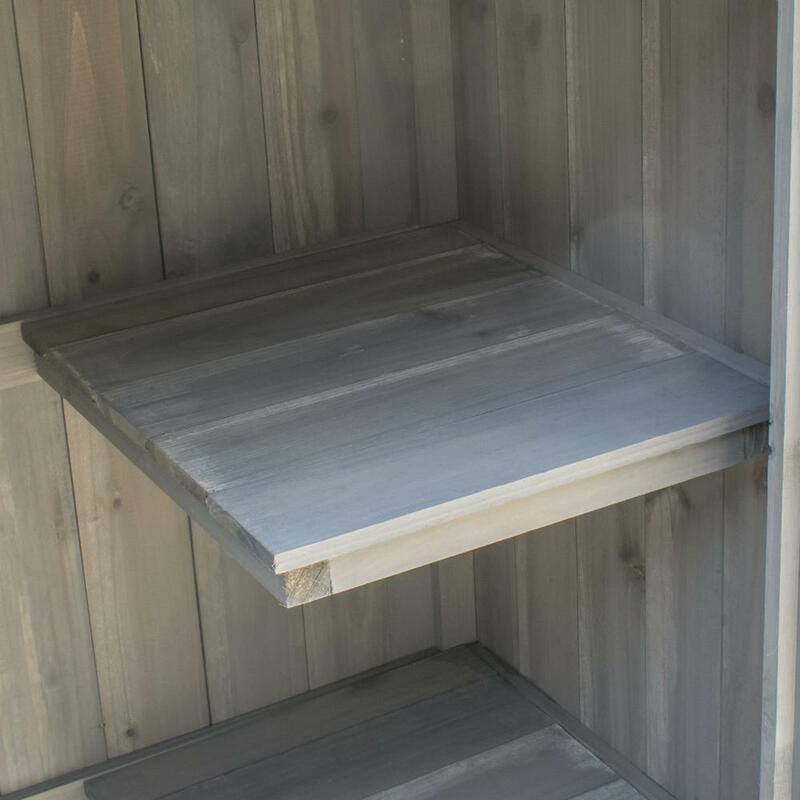 The top is a smaller and more compact area for your gloves, cables and other bits and bobs. 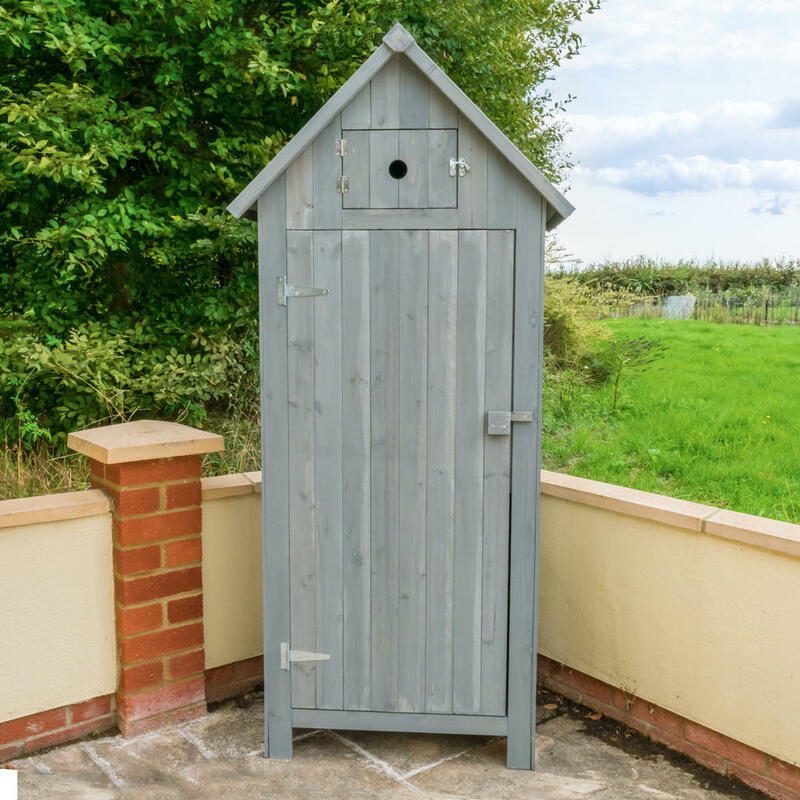 The bottom area is a larger space suitable for your spades, shovels, boots, rakes and other bulky gardening tools. Both sections have easy to open and close doors with latches to securely lock your tools away. 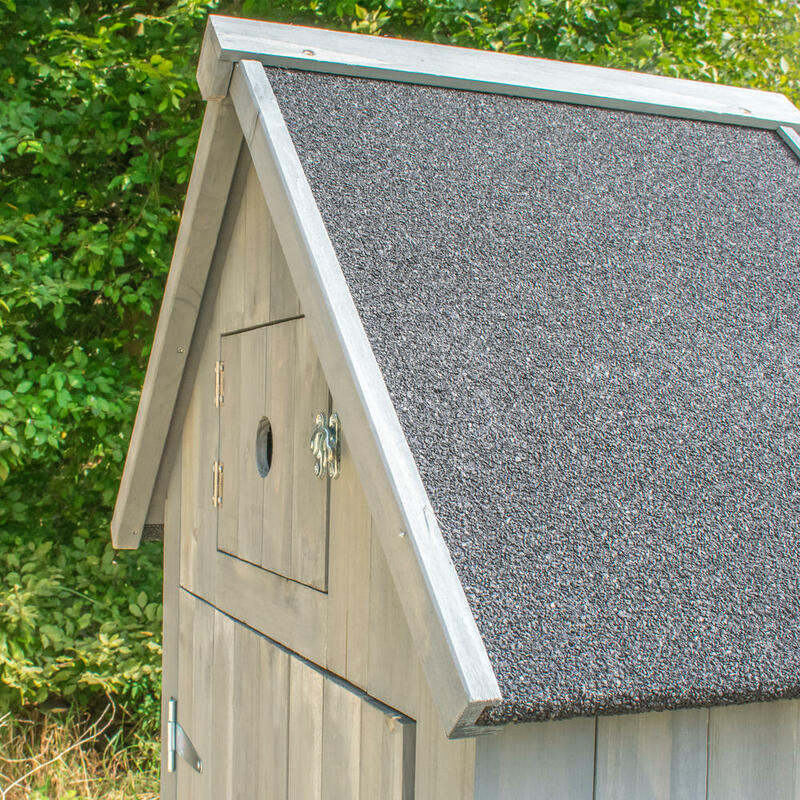 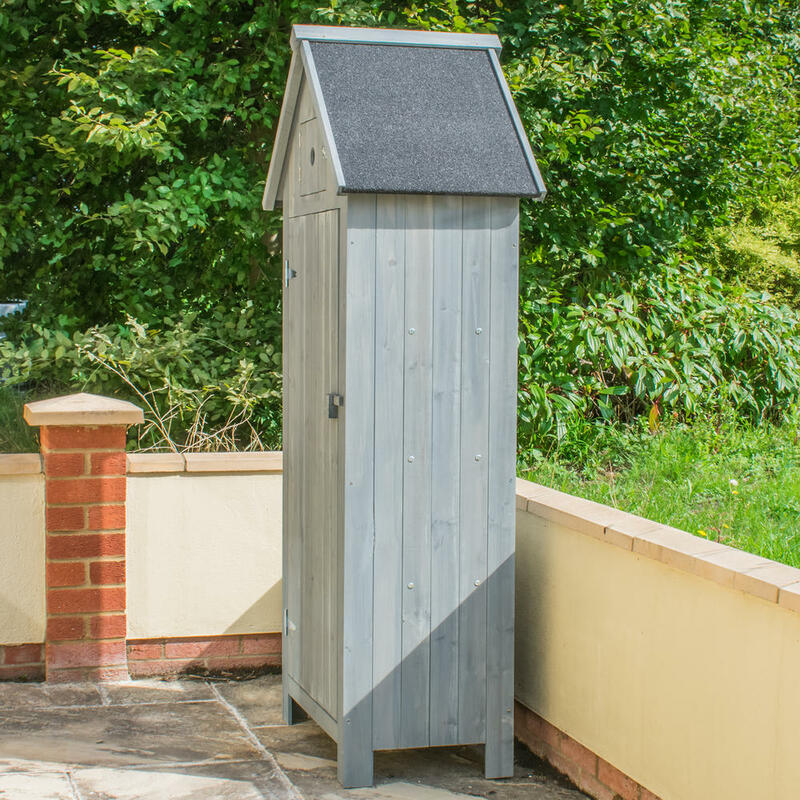 The felted roof gives the Apex Garden Storage Cupboard protection against wet weather and the raised slatted bottom allows for ample airflow, helping to keep your tools dry on the inside. 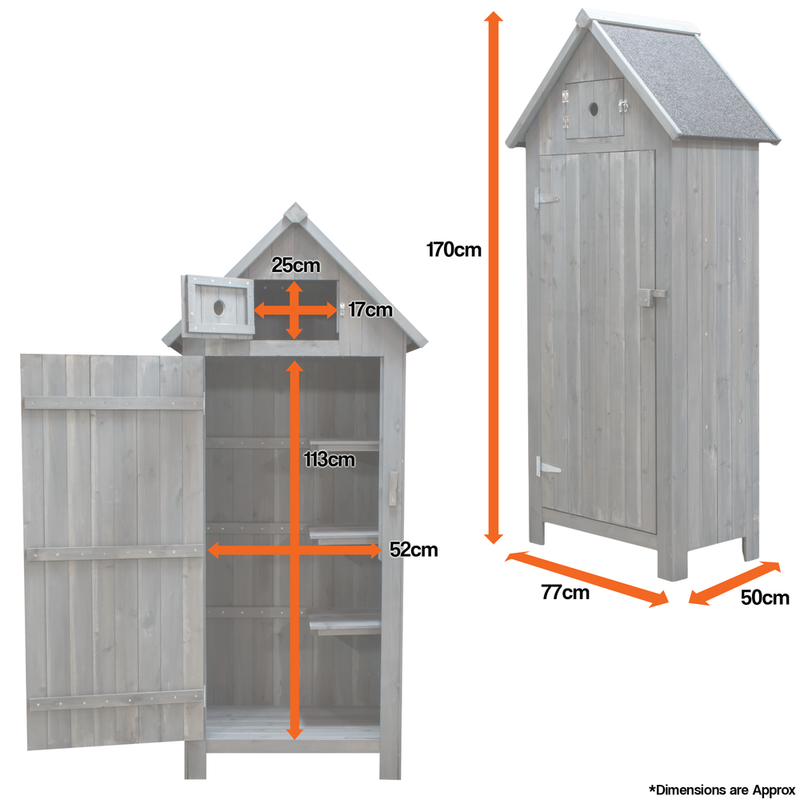 Internal Top Cupboard (approx): 59 x 36 x 33cm (LxWxH) - This section features an apex roof so space is limited due to this. 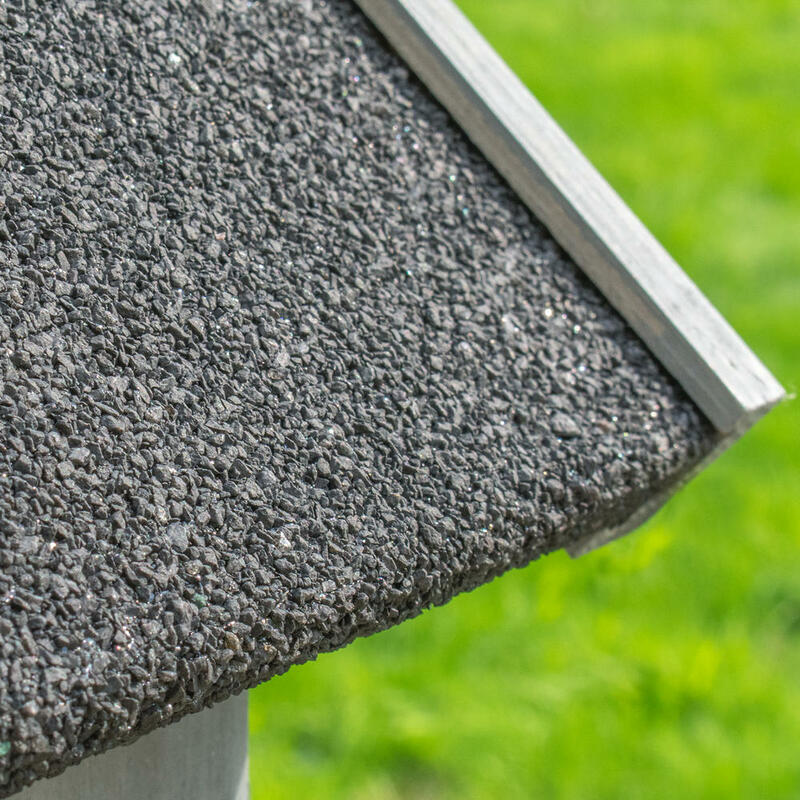 This unit sits 8cm from the ground. 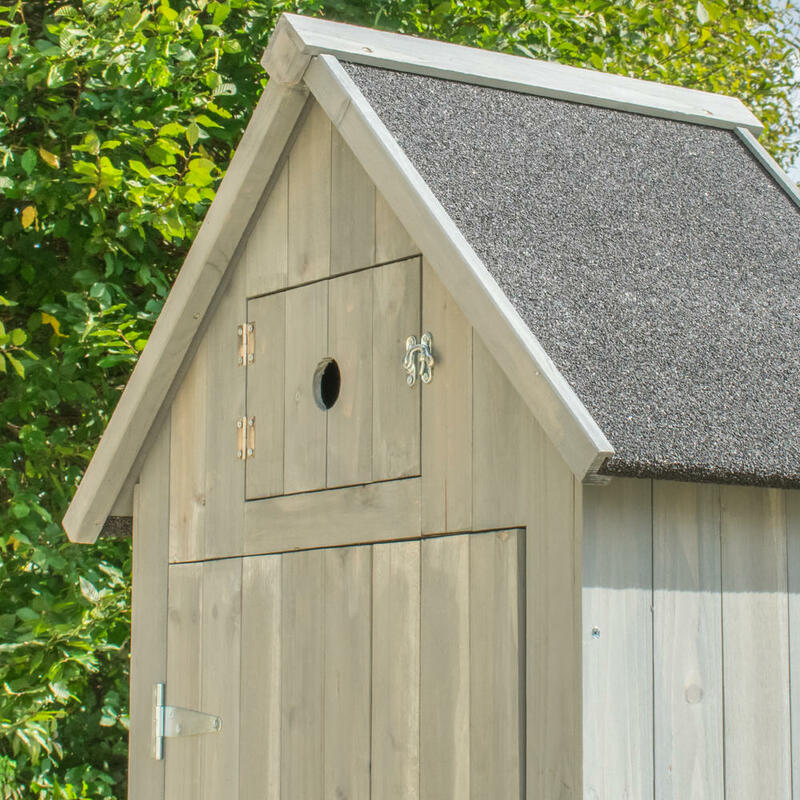 Assembly and tools required (not included) - Easy to read instructions included.